The famous snuggery is offering a seven-course prix-fixe dinner for you and your special someone, before the restaurant begins big renovations and closes in the spring. Relax and enjoy the cozy atmosphere while you dine on kale salad or roasted brussels sprouts to start, then a second-course of beet Napoleon, followed by fine appetizers such as steak tartare or chive dumplings, and an entrée choice of Pat’s Pastured short rib pot pie, Crèpeccini or vegetable gratin. The dinner finishes with chilled strawberry soup and a selection of artisanal cheeses. Reservations are available in three groups, 6–6:30 p.m., 8–8:30 p.m. and 10 p.m. For more information, email theduckandbunnymanager@gmail.com or call 401-270-3300 to make reservations. Is your taste a little more eclectic? Enjoy pop culture and rock music? Maybe Julian’s will be more your style. Vegan? Vegetarian? Don’t worry, they’ve got you covered. With two seatings at 6 p.m. and 9 p.m., a six-course meal and a wicked cool atmosphere and full bar, make sure you get your reservation on the books. The cost is $129 per couple. For more information, call 401-861-1770, extension 2. Maybe you and your loved one feel like celebrating all weekend, and if that’s the case, make sure you make a reservation at the Rooftop at the Providence G. Wednesday will be all about the Champagne with a dinner featuring Moet and Chandon. Thursday, there will be live music with Alissa and Billy Musto, Friday features a chocolate fondue fountain, and Saturday, you can build your own floral bouquet. Three-course dinners are available throughout the weekend for $49 per person. Reservations can be made online at rooftopattheg.com/reservations. If you’re looking for a big romantic gesture, perhaps you should consider taking a carriage ride with your beloved in Wickford Village. A cozy ride for two, a double date with friends, or a fun trip for the family, rides begin at 5 p.m. and last thirty minutes through the historic harborside. For tickets, visit newdealcarriage.com. Another Rhode Island favorite is offering a full four days of entertainment and amazing food from February 14 to 17. Basta will celebrate Valentine’s Day with the Night of 1,000 Roses, decorating the entire restaurant with roses suspended from the ceiling. Enjoy four nights of live performances from a different performer each night, including Ava Gaudet, Lady D, Evan Andrews and Ron Giorgio, the full Basta menu, and a few surprises on the side. Basta promises to make this a weekend to remember. For reservations, visit bastaonbroad.com or call 401-461-2300. We didn’t forget about traditionalists! 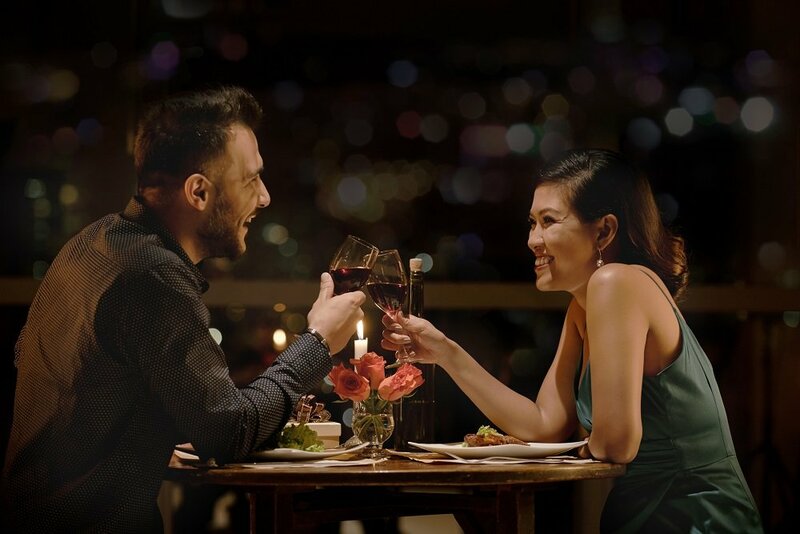 With a prix-fixe menu, Persimmon provides a relaxing, romantic atmosphere for you and your significant other to enjoy Valentine’s Day. For $75 per person, enjoy a four-course dinner. Beverages, tax and gratuity additional. To make a reservation, call 401-432-7422. Have some time to kill before your dinner reservation? Visit Foolproof Brewery in Pawtucket for the Foolish Love event from 5 to 8 p.m. on Thursday for a tasting, accompanied by a selection of local food items. Your $25 ticket includes eight beer tokens, as well as a $5 brewery gift card. For tickets, visit eventbrite.com. For something intimate, consider Pot au Feu in Providence for your celebration. With a four-course Aphrodisiac-filled dinner – vegetarian options available – including wine and Champagne, as well as live music by Rose Weaver and Delbert Collins, it’s sure to be a romantic evening the two of you won’t soon forget. Woven into the evening is the love story, “Love is strong as death,” which tells the tale of Count Paolo Bajnotti’s love for Carrie Brown and recounts how he spent $25 million creating memorials in Providence to remember her. The cost for the dinner is $65 per person, plus tax and gratuity. For more information, email events@potaufeuri.com or call 401-441-2345, or book the 5:30 p.m. or 8 p.m. reservation online. Waiting until Friday to party with your partner? This event is the perfect place to have a Prohibition-era cocktail and show off your dance moves! For $40 per ticket, enjoy light hors d’oeuvres and a complimentary drink while you do the Charleston to the tunes of Miss Katie Kleya and her accompanying speakeasy jazz band. Costumes are encouraged and welcomed! Visit newportvineyards.com, email info@newportvineyards.com or call 401-848-5161, extension 0 for tickets. Both Weekapaug Inn and Ocean House are hosting Valentine’s Day dinner events. At COAST at the Ocean House, there will be a multi-course meal and wine pairings available in a quiet setting while Faith Letner plays beautiful harp music beginning at 5:30 p.m. To reserve a table, call 401-584-7000. At the Restaurant at Weekapaug Inn, you can opt for a cozier, more relaxed setting with an equally as luxurious atmosphere. Call Weekapaug Inn at 401-637-7600 or 401-322-0301 for reservations. Valentine’s Day is special, so the menu should be special as well. Mill’s Tavern in Providence is promising just that to patrons, with drink specials, appetizers, entrees and desserts crafted just for this holiday. Enjoy strawberry-rosé sangria or an appetizer of Alaskan king crab cocktail. Perhaps something from the a la carte menu, including specials like surf n’ turf: an eight-ounce filet mignon and seared jumbo day boat sea scallops with sauce au poivre or bacon-wrapped rack of venison for two with roasted sweet potatoes, honey-glazed carrots and sauce Cumberland. To make reservations, visit millstavernrestaurant.com or call 401-272-3331. Ever thought about learning to make that incredible Valentine’s Day meal yourself? Head to Chef Walter’s Cooking School on either Wednesday or Thursday from 6 to 9 p.m. to make yourself a delicious meal and enjoy an accompanying glass of wine. After the cooking is done, sit down with your beloved and enjoy the wonderful meal you’ve made together. To reserve a spot, visit chefwalterscookingschool.com. It’s all about the view at 1 Finance Way on the Providence Waterfront, with a breathtaking panorama of the city skyline. There is indoor seating, but you’re going to want to take in the glorious scenery outside. Valentine’s Day guests will receive a rose, a glass of Champagne and chocolate-covered strawberries along with a wonderful dinner to celebrate with their special someone. For reservations, call 401-437-6480 or visit dinewithskyline.com. Okay, so they’re not real igloos, but they’re the closest you’ll get without going to the North Pole! 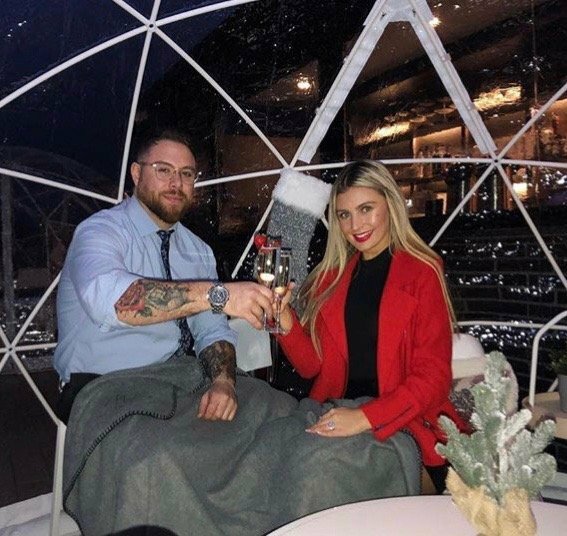 Sit outside, under the stars and under a blanket with your sweetheart in one of the five beautiful heated igloos on Mare’s rooftop deck, sipping a delicious cocktail and sharing an appetizer. Reservations are taken in blocks from 5–7 p.m., 7:30–9:30 p.m., and 10 p.m. to midnight. In order to reserve your igloo, call 401-336-6273. 15. Woof You Be Mine? Are you and your partner ready to become dog parents? Visit the Guild in Pawtucket on Friday from 6–9 p.m. to seek out your new furry friend, adopted from Save One Soul Animal Rescue League. Enjoy a craft beer and some food from Hometown Poké, live music and local vendors such as Aura’s Chocolate Bar, GG’s Pretzels and the Perfect Sweet Macarons while you argue over what to name your new fur baby. Don’t forget to have a psychic love reading! Not quite ready for the responsibility of rearing a dog together? Feel free to attend and hang out with some puppies anyway. For more information on adoptions, contact info@sosarl.org. Newport Restaurant Group’s nine restaurants throughout Rhode Island are all celebrating Valentine’s Day with menu specials on Thursday, February 14, in addition to the restaurants’ full menus. Find out more at each restaurant’s website, including The Mooring Kitchen and Bar, Castle Hill Inn and 22 Bowen’s in Newport, the Boat House in Tiverton, Waterman Grille and Hemenway’s in Providence, and Trio in Narragansett. Sardella’s Ristorante Italiano in Newport is running a Valentine’s special dinner. 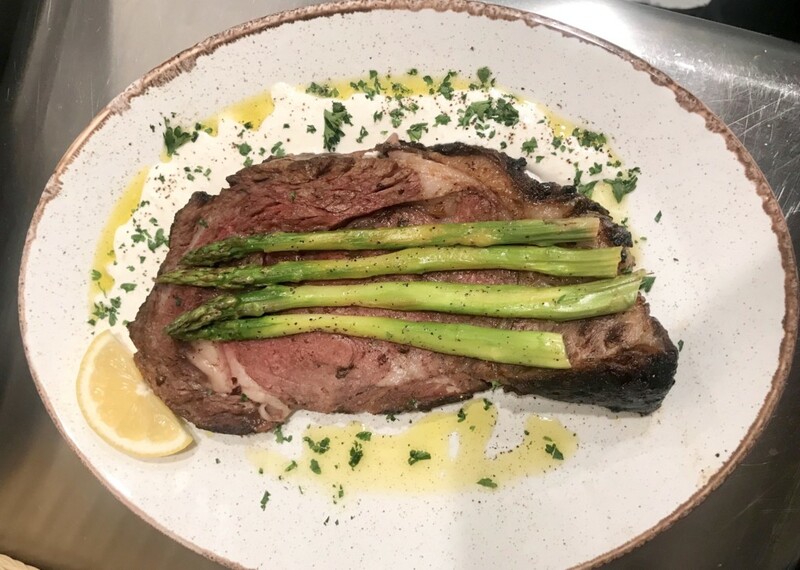 In addition to executive chef Kevin Fitzgerald’s regular menu, guests may choose Bistecca Fiorentina, a sixteen-ounce, hand-cut grilled New York sirloin steak brushed with olive oil, garlic and rosemary or grilled native Swordfish steak topped with fresh lemon caper butter sauce. When these specials are ordered together, guests will be served a complimentary dessert – Napoleon for Two – French vanilla ice cream layered between puff pastry with fresh strawberries and chocolate sauce. Sardella’s will be open regular dinner hours on Valentine’s night from 5–10 p.m.
Chez Pascal will be offering a love-filled, three-course menu for $69 per person, not including tax, gratuity or beverages. Chez Pascal always goes over and above for Valentine’s Day, so stayed tuned to the website for the menu release. This will be the only menu available that Thursday evening and the Wurst Kitchen will not be open. Call 401-421-4422 for reservations. Yoleni’s Greek restaurant in downtown Providence is featuring a four-course dinner with a choice of appetizer (Greek meatballs with tzatziki, spanakopita or stuffed grape leaves), a Greek salad with tomato, cucumber, capers, onions and feta or beetroot salad, an entree choice of plaki (Greek sea bass cooked with potato, onions, herbs and tomatoes), prime rib served with asparagus, potatoes and horseradish yogurt lemon dressing or tri color Greek pasta with Santorini tomato sauce and tasting of Myzithra cheese. For dessert, there’s a choice of specially made treats, just for the occasion. In addition to the featured menu, guests can enjoy the musical talents of Joe Potenza, Gino Rosati and Tish Adams. The menu is $60 per guest, exclusive of tax and gratuity. Reservations can be made by calling 401-500-1127.